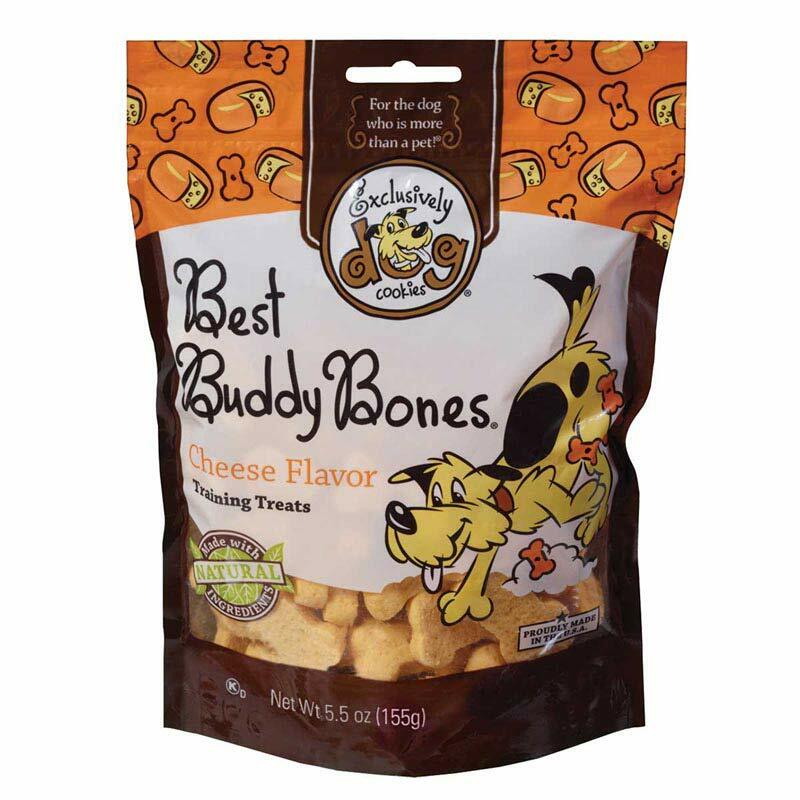 Best Buddy Bones - Cheese Flavor ( 5.5 oz ) Your dog will love fetching Best Buddy Bones! A miniature bone-shaped cookie with texture that is not too hard or too soft. Better than cheddar ! Miniature bone-shape with the great taste of cheese. Made with natural, kosher ingredients. No animal parts and by-products. Great for training medium to large size dogs and a perfect size to serve as a treat. Ingredients:Wheat Flour, Vegetable Fat ( preserved with mixed tocopherols), Sugar, Dried Cheese, Salt, Garlic Powder, Turmeric. Guaranteed AnalysisCrude Protein (min) 6%, Crude Fat (min) 13%, Crude Fiber (max) 1%, Moisture (max) 8% Nutrition & Feeding Calorie Information (Per Treat) 13 General Feeding Guidelines (Dog Size): Toy 1-3 treats per day, Small/Medium: 3-6 treats per day, Large: 5-10 treats per day.